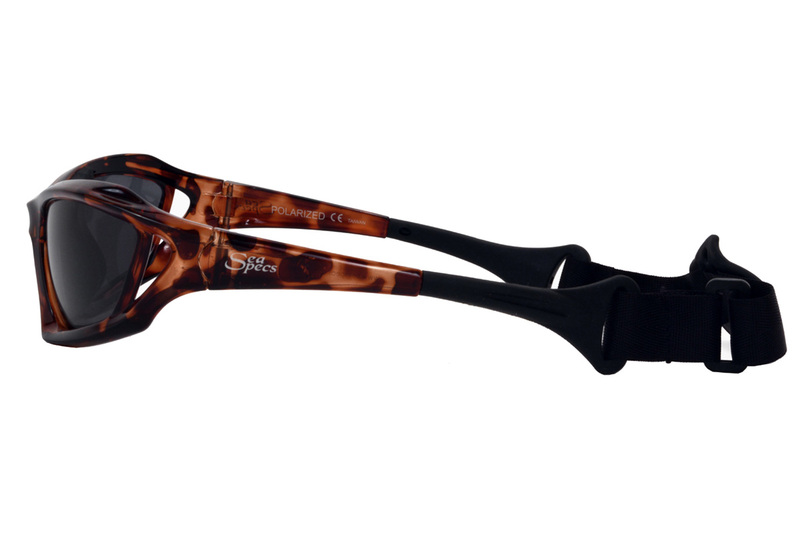 Our sleek, wrap-around Stealth frame with integrated, adjustable strap now comes in the timeless look of Tortoise shell. 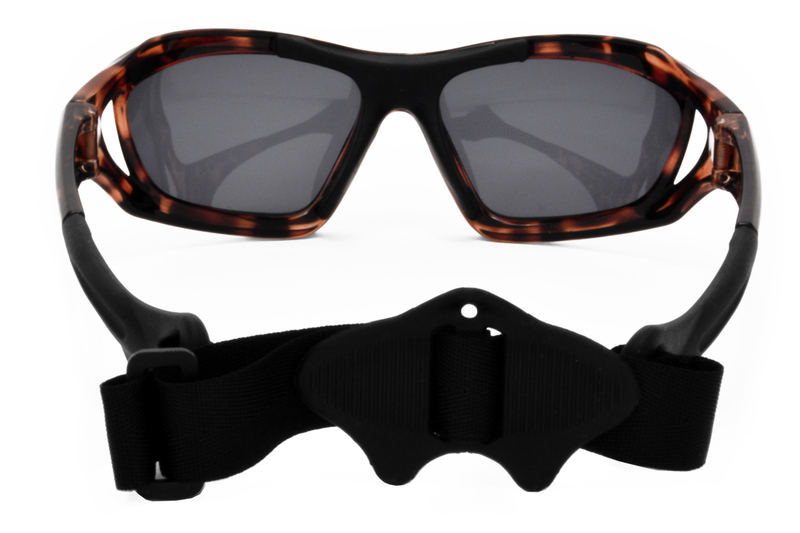 The patented design allows SeaSpecs Stealth to float while you enjoy your extreme ocean sport! The neutral color pattern is understated and looks great on both men and women. 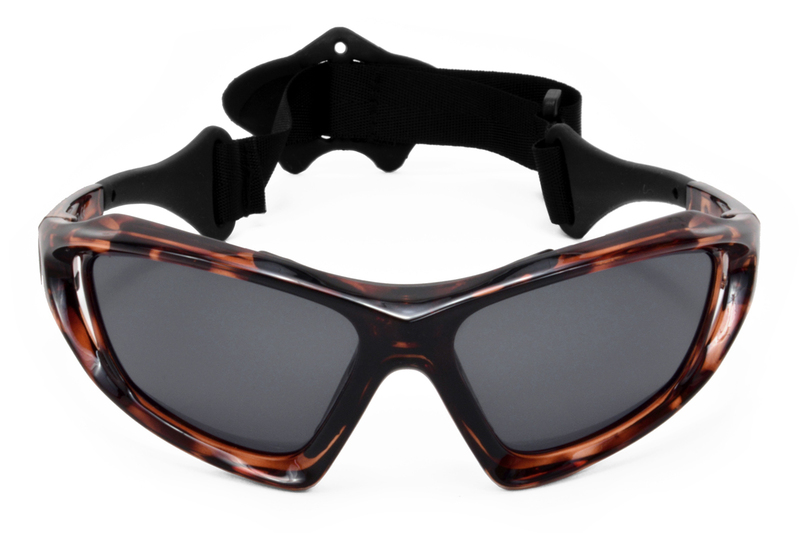 SeaSpecs Brand Grey Polarized, UV400 lenses give you the eye protection you need. An all-around neutral lens color, the Grey tint filters all wavelengths of visual light evenly across the spectrum. And by reducing intensity, Grey lenses keep colors true to life, enhance your depth perception, increase your visibility at any time of day, and reduce eye fatigue in overall bright sun light.